Though we’ve yet to see an official unveiling of the character from Warner Bros., the ongoing production of Shazam! 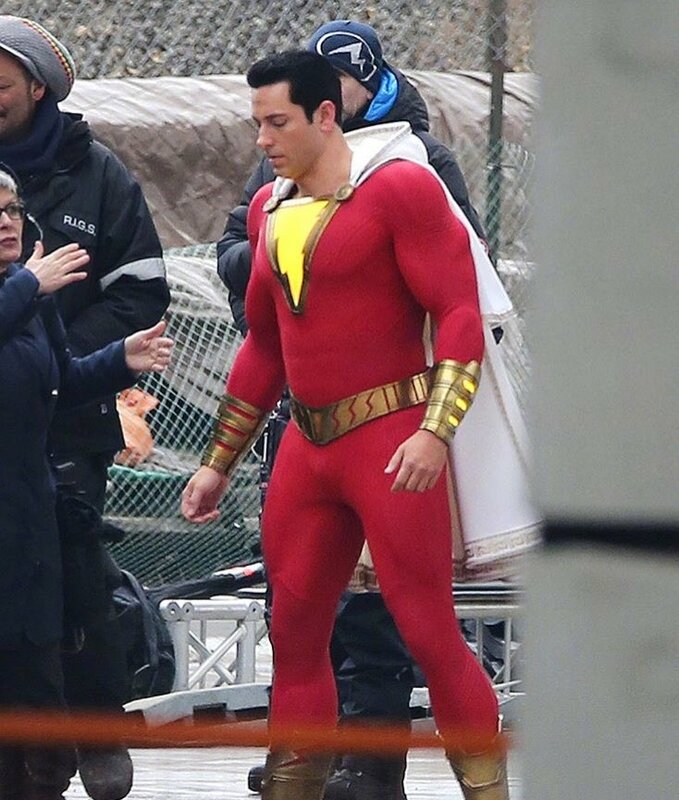 in Toronto is supplying us with a steady stream of behind-the-scenes looks at Zachary Levi in costume as the titular magically-powered superhero – who’s really teenager Billy Batson (Asher Angel). 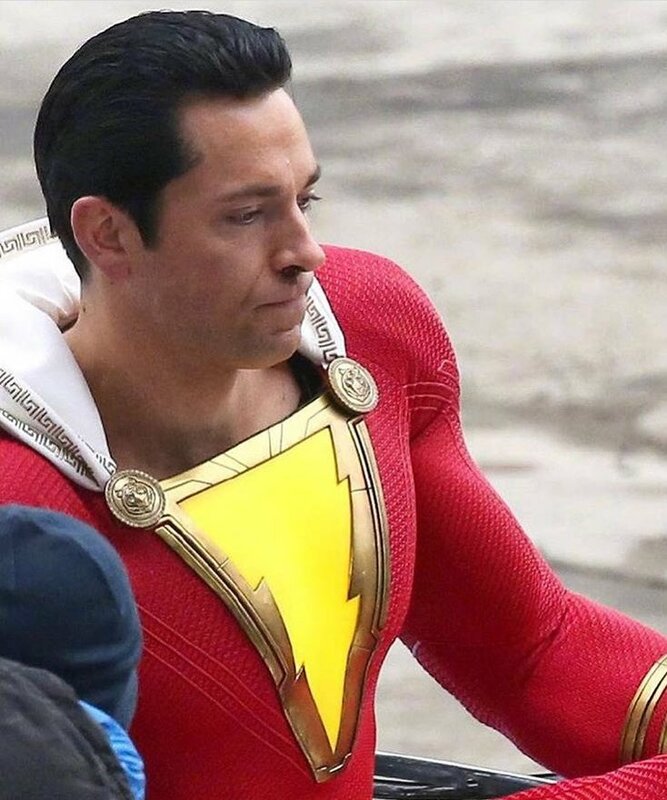 So far, we’ve seen the suit from the back, the front and close-up, but these new set photos give us our best look at the costume yet. 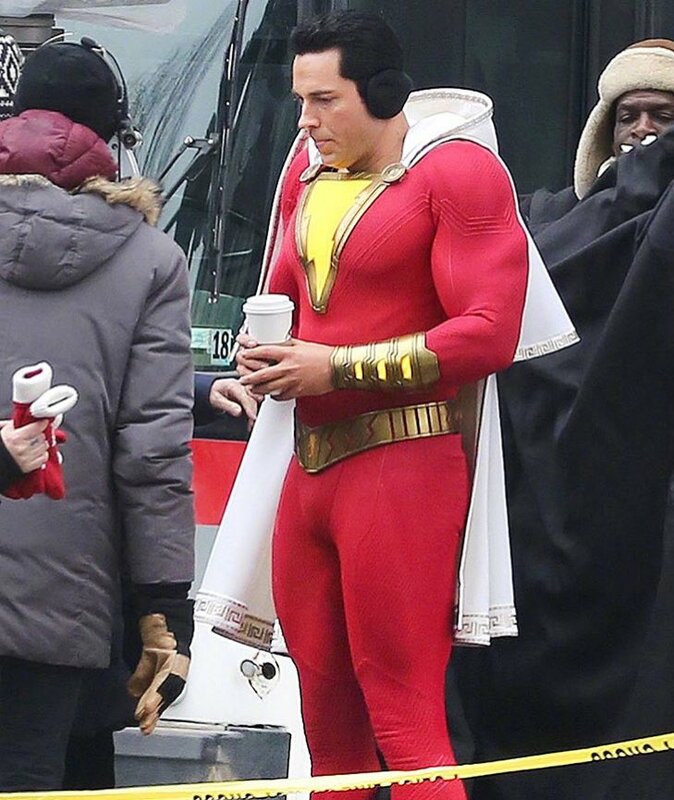 As we pointed out yesterday, Shazam’s suit looks to be drawing some influence from artist Alex Ross’ comic book costume, although there is a whiff of the New 52 suit to the design as well. This isn’t surprising, either, as much of the DCEU to date has been inspired by the 2011 reboot of the DC comics universe. Either way, it’s one of the most faithful superhero costumes the DCEU has delivered yet, suggesting a distinct move away from the washed-out colours that have permeated the franchise in previous movies. Likewise, Mark Strong’s Doctor Sivana is very close to his New 52 counterpart, too – particularly, in the scar across his right eye. Just look at this comparison of the two, as pointed out by Captain Marvel Talk. The fan-account has also noticed the connection between Shazam’s tiger medallions and Tawny, his classic sidekick from the comics. Not to mention a clearer picture of Dr. Sivana. These set photos are the latest in a long line of pics showing off this particular scene, which appears to be a set piece involving a bus crash. 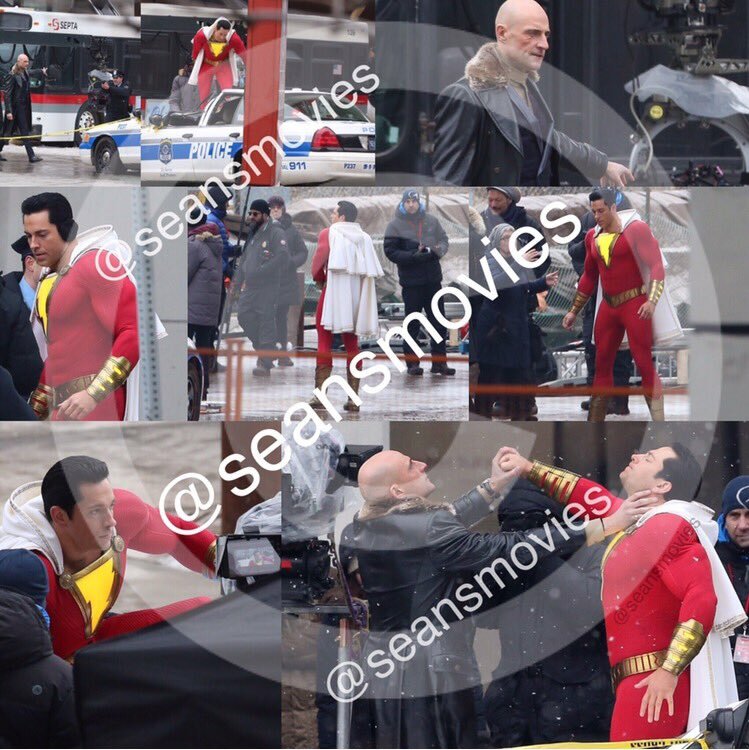 After Mark Strong’s villainous Doctor Sivana attacks some civilians, it seems that Shazam saves the day and ushers the passengers to safety. Other location shots have revealed some intriguing connections to Batman’s home city of Gotham, too, and as more continues to roll in, we’ll be sure to let you know.